With anticipation of “Unbroken” and its debut on the silver screen, Louis Zamperini’s name is on everybody’s tongue. 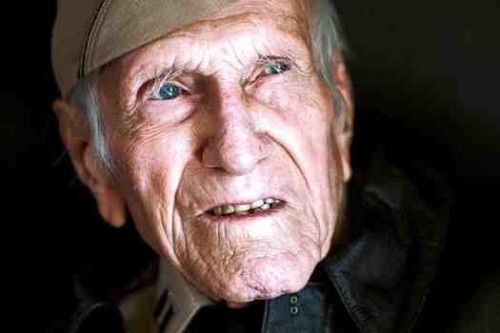 I thought I would re-post this (original title: WWII POW Louis Zamperini Dies at 97) from July 3rd of this year. This is a remarkable man with a remarkable story. Enjoy. One of the most incredible American lives of the past century has come to an end. Louis Zamperini, a former Olympian who spent 47 days lost at sea and two more years as a prisoner of war during World War II, has died at age 97. The weak can never forgive. Forgiveness is the attribute of the strong. (Mohandas Gandhi). Gandhi’s quote perfectly embodies the complete and utter forgiveness of Louis Zamperini. Nobody expected that the young trouble maker, Louis Zamperini, would amount to much. But Louis proved them wrong. On January 26, 1917, Louise Zamperini gave birth to Louis Silvie Zamperini. He and his family lived in Torrance, California. Growing up as a daredevil, Louis risked his life during many occasions, including hopping freight trains, taking a train to Mexico, and trying to catch cows in ravines (which ended up in a torn off kneecap). Louis’ family became worried about his constant need for excitement and danger, so his brother, Pete revealed to Louis a way to release some of his extra energy. Lou immediately picked up on running track. In fact, reporters quickly caught their eyes on Zamperini’s knack for running. His talent became so wildly popular that local newspapers dubbed him “Zamp the Champ.” Lou was expected by many to break the four minute mile time, which is one of the most celebrated barriers in sport. In 1936, Louis received and invitation to compete in the 1936 Berlin Olympics, where he earned 8th place. Even while in his early adulthood, Lou still had a strong thirst for danger. Looking for a souvenir, Zamperini scaled The Reich Chancellery, the German equivalent of The White House, and stole the flag off the roof. Nazi Lieutenant General Werner von Fritsch caught him but then released Zamperini due to his Olympic status. After the Olympics, he enlisted in the U.S. Military. Louis begged to remain in the US infantry, but he transferred to the Air Force against his will. During an attack, Louis flew in the B-24 bomber named “The Green Hornet.” Infamous for its unreliability, “The Green Hornet” seemed to make all of the pilots cringe in fear at the thought of manning the aircraft. After flying for a short time, the airplane’s engines failed and the plane crashed in the middle of the Pacific. Zamperini rescued his crew-mates from the wreckage. After 47 days, and being shot at by Japanese bombers, circled by sharks and losing a man, Louis Zamperini and crew-mate, Russell Phillips finally hit land. Some Japanese fishermen found the two men and turned them into the police. 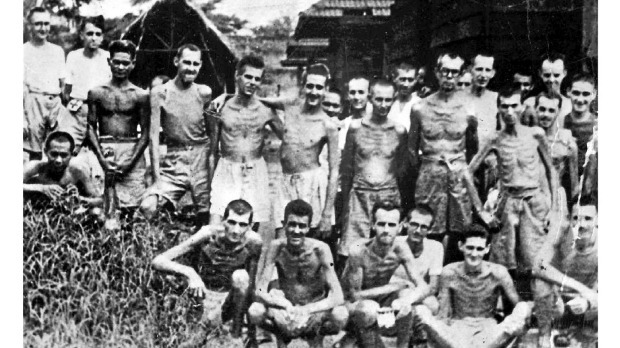 They were taken to a Japanese death camp where they were humiliated and tortured. One of the guards named “The Bird” found interest in Louis and treated him harsher than the other POWs. “The Bird” would put him through harsh and demeaning tasks, such as doing push ups in human feces. Upon his release, Zamperini left full with strong emotions of hate and anger. He even planned to return to Japan to murder “The Bird.” But after hearing one of Billy Graham’s sermons, Louis became a Christian and turned his life around. He visited Japan for a missionary trip. Louis scoured Japan for most of his jailers and forgave them face to face. Today, Louis Zamperini runs a boys camp and continues to spread the word of his amazing life story and the word of Jesus. With his inspirational life story, Louis totally illustrates traits that people need to achieve to be labeled as a hero. Louis Zamperini establishes a perfect model of a true hero with his forgiving nature and strength in faith and himself. Louis is a great example of a hero because he even forgave the people who brutally tortured him. After being tortured in a Japanese death camp, Louis became determined to forgive all of his captors: “In 1950, Zamperini returned to Japan as a missionary. His goal was to meet with and forgive the prison guards who had mistreated him. He was able to meet several, including his former classmate and tormentor Sasaki at the Sugamo prison, still awaiting war-crimes trials. “I embraced him and told him I forgave him,” Zamperini says. “I even pleaded for clemency on Sasaki’s behalf with a deposition to General [Douglas] MacArthur.” (Jacobs). After having his body and mind polluted with emotions of anger and pain, Zamperini turned a corner. Louis decided to let go of the hate filled emotions that held him captive for so long. Zamperini did amazing things for the people who tortured him in Japan: “The war [was] over, Lou was obsessed with finding Bird and the other guards. He returned to Japan in 1948 and went to Sugamo prison, where 850 guard and prison-camp abusers of the POWs were imprisoned, some waiting for execution. They were assembled for Lou, and many expected harsh insults, scorn and even physical abuse. Lou told them of his new faith in Christ, and gave them Bibles.” (Pruden). These guards expected insulted insults and ridicule, but instead they received compassion and love. Lou took the high road and showed his captors the love he never received from them. Expected to find and punish the guards for the horrible ordeal he experienced, Louis, instead with his new found faith, forgave them. Louis’ strength in leadership and faith helped guide him through his tumultuous life. Louis Zamperini fought to save the lives of his comrades: “Then I noticed two crewmen about 20 feet away clinging to the side of a gas-tank float. I managed to grab onto a portion of a nylon parachute cord that was attached to an inflatable life raft. I climbed in, unhooked the oars, and rowed over to pick up our pilot, Russell Phillips, who was badly injured, and pulled him up into the raft. Then Francis McNamara, our tail-gunner, made it in. We were the only three survivors of the eleven-man crew.” (Jacobs). After a near death experience, Zamperini used the last of his energy to save the men who stood by him in the face of death. True strength is putting others’ needs before your own. Louis Zamperini received harsh punishment in the camps: “Cruelty and abuse were part of daily life. On a march one day, Zamperini had a high fever and was falling behind. A guard yelled at him, “You lick your boots, or you die!” When Zamperini refused, the guard cracked him on the head with his belt buckle and brutalized him.” (Jacobs). Losing his dignity and freedom, Lou stood strong in his beliefs, even with being subjected to harsh punishment. Even though he couldn’t fight them physically, Louis fought his captors’ evil doings any way he could. Louis Zamperini fought for his country, and he protected and tended to his comrades’ needs and he is a true hero with great strength.